Keeping in mind the diverse requirements of our clients we are involved in offering an ample range of Granite Cobblestones. The complete range of our products is manufactured by our reliable vendors using premium grade base material and advanced technologies. These are available in various shapes as per the clients choice. 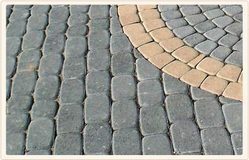 Kandla Grey cobbles are available in different size & thickness. 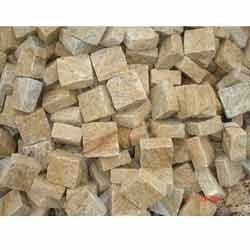 We can supply best in class kandla gray cobbles. Our firm is counted amongst the eminent names in industry, engaged in offering Granite Cobbles. These cobbles are well polished and processed in safe environment. Dimensions: 5 X 5 Inch, 10 X 10 Inch, etc. Granite Cobbles: The cobbles made of granite are in shades of black, red, pink, maroon, etc. Many sizes of cobbles from 10cmx10cm in various thickness 4-6cm, 6-8cm and 8-10cm. Other custom sizes can also be made and supplied to you.